Whether it's your first time at the gym or you're just curious what other gymgoers are carrying around in their bags, I present to you the contents of my gym bag. Each item is pertinent to my workout habit. For practical reasons, I do not keep anything in my bag that I don't use regularly. 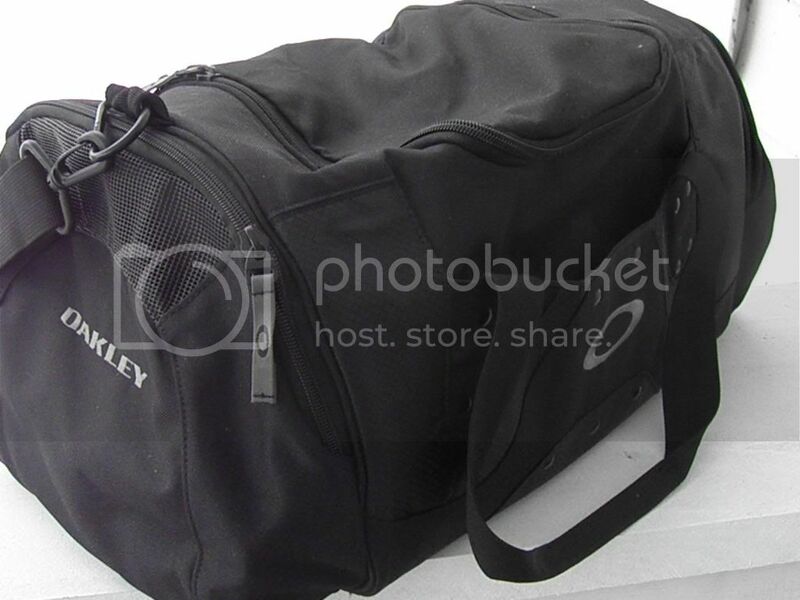 Like my cute Oakley bag? Me too! The mesh on the side pockets airs out my towel and shoes and the front pocket stores my workout logs. I sound like I'm advertising the thing, don't I? Turns out, describing products like this is my job. I bought a cheap-o towel at the store because I didn't want to haul around one of my plush ones from home. It's much more portable and I don't have to worry about how I treat it or anything. 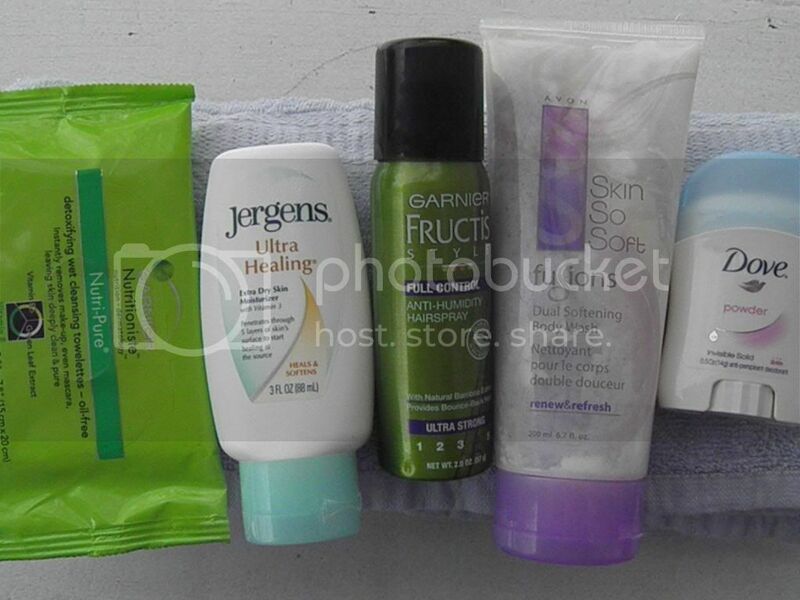 Also, I carry Avon body wash in case the gym soap dispenser is out, Jergen's lotion to soothe stripped skin (two showers a day will do that to you), Garnier hairspray and face towelettes, and travel-sized Dove deodorant. A friend and I have been hitting up the gym on our lunch breaks, so we don't have time for or really need full-body showers, just "rinses" as we like to call them and a change of socks and underthings. I sometimes carry Suave dry shampoo too, but rarely end up needing it. Isn't this mini clipboard just the cutest? I think I got it in the dollar section at Target. 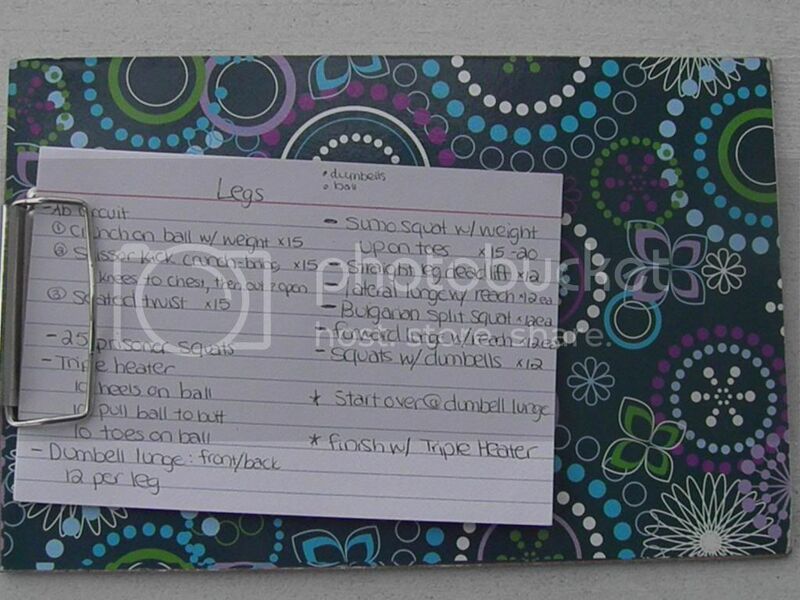 I like to keep my workout index cards on it. I wrote out many of the workouts from Supreme 90 Day so I can do them at the gym instead of being confined to only the TV. I got this cutie purple water bottle from work. 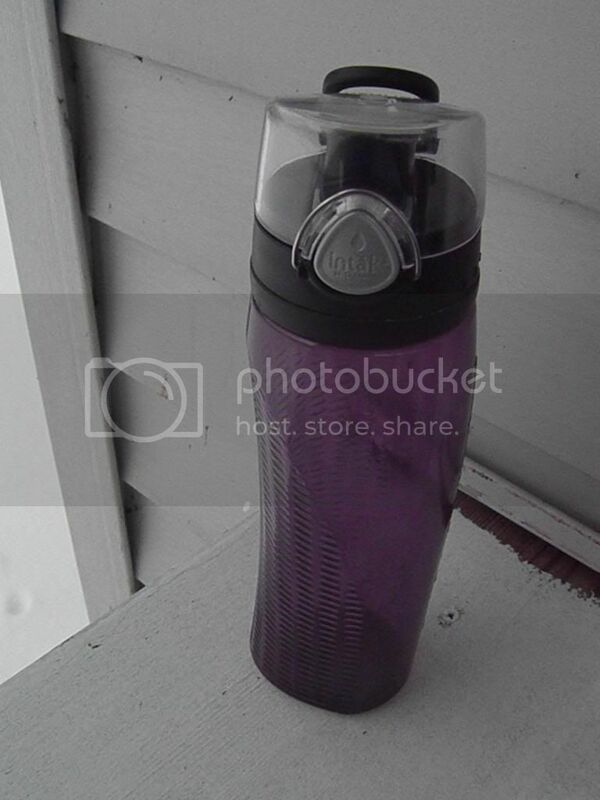 It has a buckled lid to keep me from splashing myself and little notches on it to track water intake. If I take ANYthing to the gym, it is this precious reservoir. If you're wondering what to pack for your first foray into the gym world, I would recommend most of the items above, depending on whether or not you'll be "rinsing" at the gym. Other than what's pictured, and your workout clothes (of course! ), I would also recommend a good lock for the locker room, a magazine for the treadmill (if you can read and run), and a good playlist and headphones. A hand towel for dripping sweat is also pretty handy. I like to bring these pretty mantra towels when I remember them. What are your main gym essentials? Any other gym packing tips?